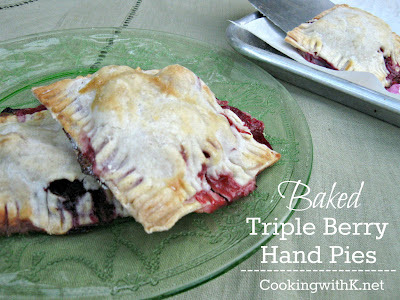 Baked Triple Berry Hand Pies are so simple to make. All you need is pie crust dough and berries for the most part. 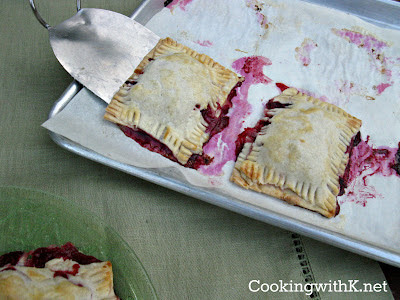 When you have berries or any stone fruits that are needing to be eaten, hand pies are the answer. The one thing I like most about making them is that you really don't have to have a set amount of any ingredients. I start with the berries, by tossing them in some sugar and cornstarch, and then spooning them on top of the crust. For the crust, I start with one recipe of pie crust and make as many of them as I can with that one recipe. 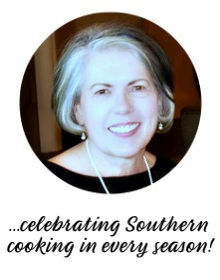 Then I make another recipe if I need to---how simple is that? Growing up in East Texas, I had Dewberry vines all around my house. We would start watching for the blooms in the spring. Then we would pick gallons of them. Mother canned several jars of jelly, and froze some also, to make berry cobblers all through the year. These hand pies have blueberries, blackberries, and raspberries in them. The flavor combination is absolutely scrumptious. These hand pies are the next best thing eating a slice of pie! In the bowl of food processor using the metal blade, pulse together flour, salt, and sugar until blended. Add butter all at once and pulse until mixture is pea size. In a 1 cup measure cup add ice cubes and water. Stir until water is cold. Add 5 tablespoons of water while pulsing to mix. Pulse until dough starts to form a ball and no longer. Remove from the processor bowl and form into a ball. Cut the ball in half and wrap each one in plastic wrap and chill for 1 hour. Preheat oven to 375 degrees F. In a large bowl add the fruits, cornstarch, sugar and vanilla. Mix/toss all together until well blended; set aside. For the bottom: Take one ball of pie dough and roll it out on a slightly floured surface and cut small circles or rectangles. Spoon a tablespoon or two on each cut of dough. For the top: Roll out the second ball of dough on a slightly floured surface and cut the same size as before. Lay the top dough over the top of the spooned fruit. Then take a fork that has been dipped in flour, then press on the edge of the hand pie all around. Making sure the top and bottom dough is sealed. Place the hand pies on a parchment paper lined sheet pan. In a small bowl, mix egg and half and half. Brush top of the hand pies with egg mixture. 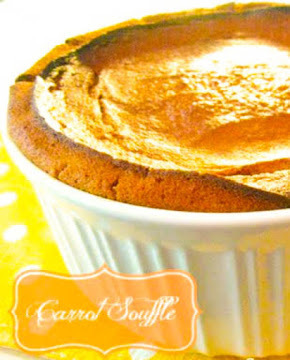 Bake for 35-45 minutes or until golden brown and bubbly. Cool sightly before removing them from the sheet pan. Note: Dough can be cut in a circle and then folded over the filling and then sealed with the bottom dough. I love berries and hand pies. 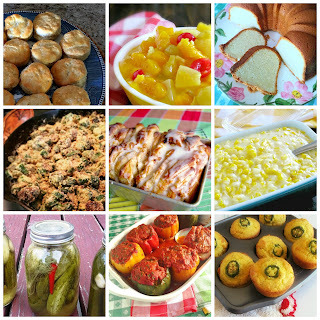 Thanks for sharing on Saturday Dishes. I pinned them. Your welcome Diane…thank you for stopping by!